ALLENDALE. — A presentation by Andrés Chavéz, grandson of labor leader and civil rights activist César E. Chávez, will kick off Grand Valley State University’s annual César Chávez Celebration. His presentation, “Latinos Millennials to be the Voice of Change,” will take place March 24 at 11 a.m. in the Grand River Room, Kirkhof Center. A meet and greet reception will follow. 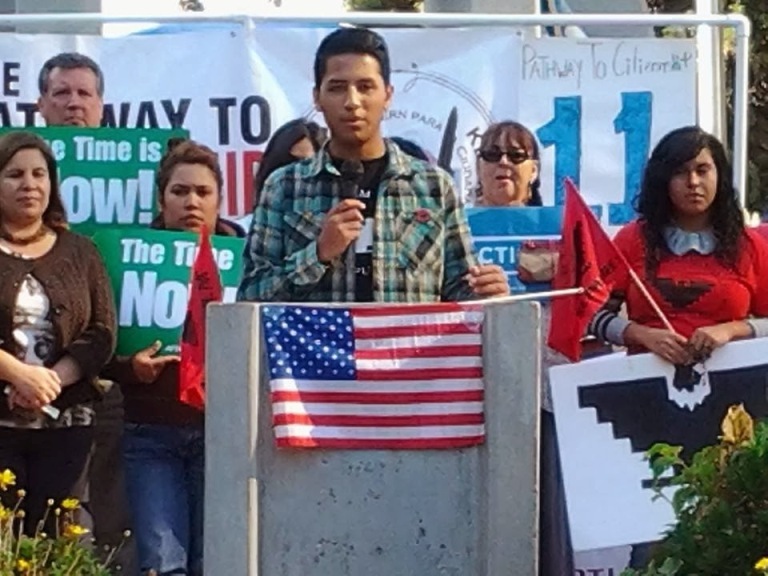 Andrés was raised during the farm worker movement, which was founded by his grandfather. He has participated in social justice activities and demonstrations, including ones for immigration reform. He is currently attending California State University, Bakersfield, where he is majoring in public policy and administration. • LSAU Dinner and Dance, “Feria De Las Flores,” March 24, 8 p.m., Grand River Room, Kirkhof Center: The Latino Student Union will host a night of free food and open dance. • “Contemporary Mexican Cinema: Romantic Comedies, Democracy, Border Crossing and Crisis of National Identities,” March 30, 4-5 p.m., room 2215, Kirkhof Center. Ignacio Sánchez Prado, professor of Spanish, Latin American Studies and Film and Media Studies at Washington University, will give a presentation on Mexican cinema. March 31 is César Chávez Day, the federal holiday that celebrates the legacy of Chavez, who co-founded the National Farm Workers Association in 1962. The celebration is organized by Grand Valley’s Office of Multicultural Affairs and WGVU Public Media, with support from numerous campus departments. Next articleDetroit Tigers legend Kirk Gibson will speak at Michigan State University’s undergraduate convocation on May 5.